Description: Essential reissue from ORG! Audiophile 180 gram double 45 rpm! Only 2500 individually numbered limited edition copies worldwide! 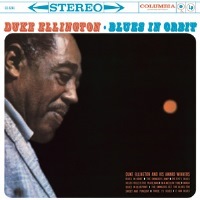 A classic Ellington album in which the maestro of American music explored the blues in its many forms and shadings. The brilliant use of bass and bass clarinet and symmetrical structure of "Blues In Blueprint" is a great example of his sheer genius! Recorded on February 4 and 12, 1958, February 25, December 2 and 3, 1959. Originally released by Columbia in 1960. This vinyl reissue released by ORG in 2012.